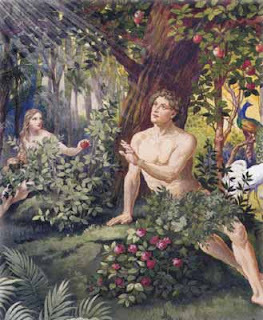 God had originally made man to be an eternal companion, but the original man, Adam broke the only command that God had said and sin and death entered the world. His wife, Eve was tempted by the devil and he followed her lead. God is loving and righteous, but perfect and so, requires perfection. When there is sin, there is death. Adam's life was prolonged because God instituted innocent animal sacrifice to cover man's sin from year to year. God made covenant with a man called Abraham 430 years before Moses and Abraham believed what God said and followed him. God counted that to him as righteousness. It was God's plan to have a close relationship with men, like Abraham and they would be His special treasure and follow God. Man would not allow the goodness that God wanted to give by His Grace, and wanted to depend upon their own ability to earn God's favor. That did not, and does not work. 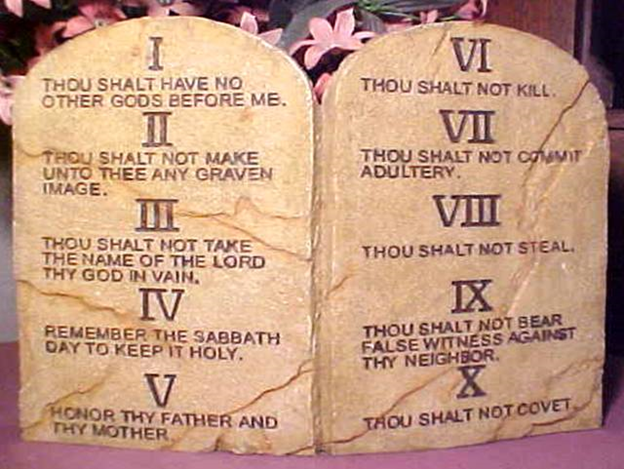 At the time of Moses, God instituted the law, 613 commandments. Most of us are familiar with the first 10. 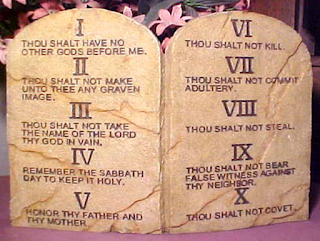 If you could keep all of the commandments, you would be perfect in God's sight. No one could do that. So God sent Himself to be a man, born from a virgin, to live a perfect life without ever breaking God's law, and so, to be without sin. This was Jesus, who bore the wrath of God so that we could be free from wrath and blessed. Who bore man's sin so that we could become his righteousness. Who bore our sickness that we could be healed. 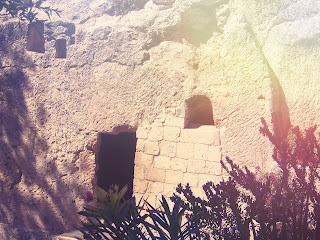 He experienced death, so we could have eternal life. 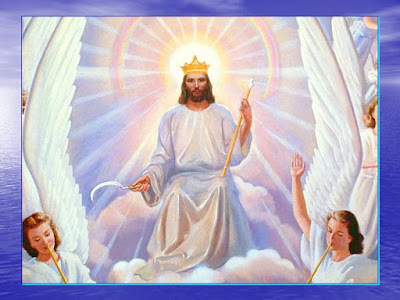 After Jesus was crucified by the Roman government prompted by the Religious Jews who would not believe that He was the prophesied Messiah, God raised Him from the dead, and He now sits at the right hand of God as King of the Universe. All who come to God, come through Him. He promised that He would come again for His followers. I gave this brief history to give you a glimpse of the Heart of God. He loves you dearly and wants the best for you. Now there are several resurrections from the dead in the Bible. But many are individuals who were raised from the dead, and then died again. Before the resurrection of Jesus, no one went to heaven when they died. Man's sin had touched heaven and nobody could enter. They went to a place called Sheol in Hebrew, or Hades in Greek. Literally this is the grave. There is a chasm between the upper and lower parts of Hades, the upper part being called Paradise. The lower part is commonly known as "hell" and sits over the lake of fire, Lk 16. 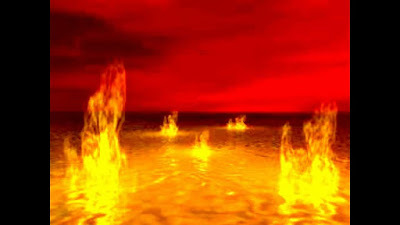 By the way, no one is in the lake of fire now. 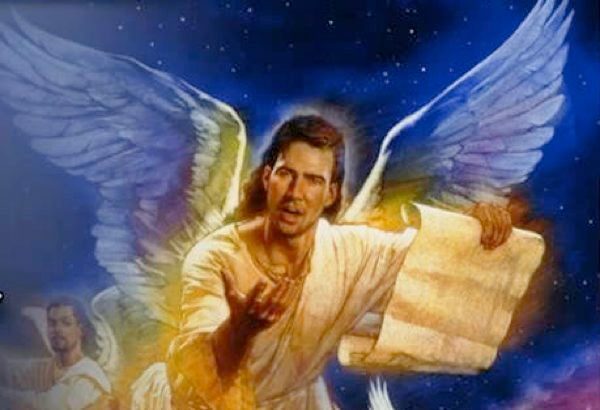 The first entrants will be the anti-Christ and False Prophet, Rev 19:20. 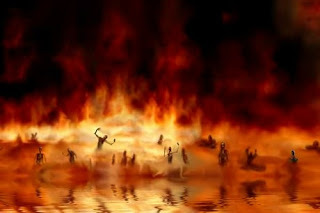 The lake of fire was made for the devil and his angels, Mt 25:41. When Jesus was on the cross their were two thieves on either side. The one on the left said if you are the Son of God save yourself and us, while the one on the right scolded the other thief and said this man was innocent. 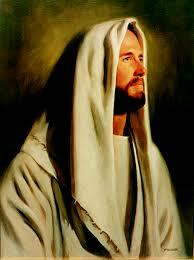 Then he looked at Jesus and said, "Lord remember me when you come into your kingdom." 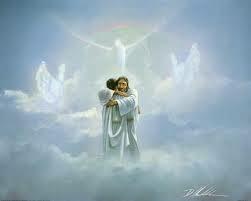 Jesus said, "Today you will be with me in Paradise." In Eph 4 we read that Jesus descended into Hades (Paradise) and preached to the spirits in prison. 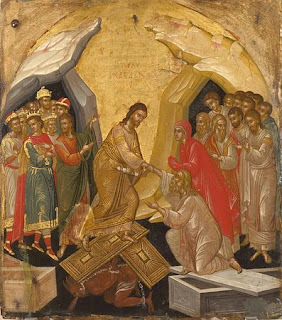 He took them out of there at His resurrection. 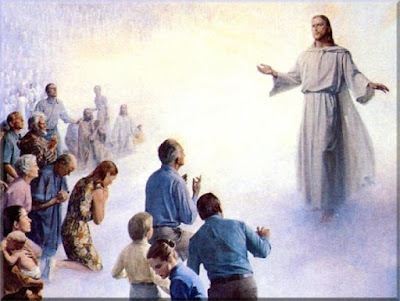 Mt 27:50 ¶ Jesus, when he had cried again with a loud voice, yielded up the ghost. This is the first recorded resurrection of the Old Testament Saints who believed in and trusted in God and believed in the coming Messiah. These are people ranging from Adam to John the Baptist. In all the other religions in the world, their leaders are in the grave. But, Christianity is different; Jesus' tomb is empty, for He was the firstborn of the dead and lives as God and our King eternally. 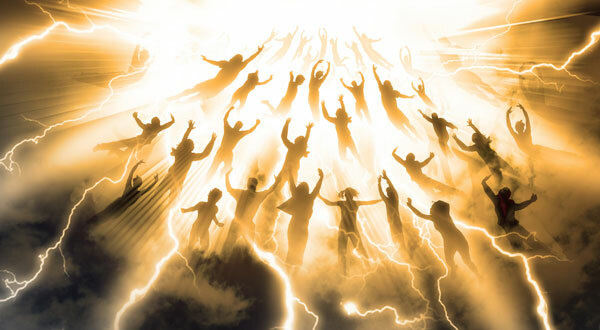 The word rapture is not in the Bible. It comes from a Latin word 'rapturo' that means to "catch away upward". In English it is also defined as intense joy. 1Thess 4:13 ¶ But I would not have you to be ignorant, brethren, concerning them which are asleep, that ye sorrow not, even as others which have no hope. 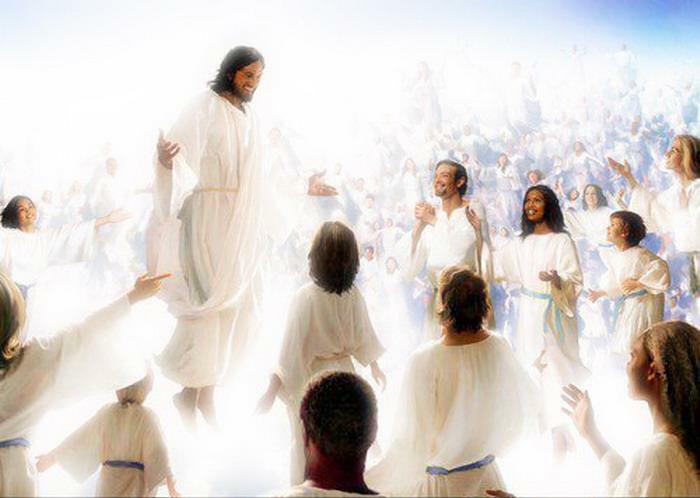 Here we see when Jesus returns for His Church, the dead that are in Christ are raised first and then those who are alive will be changed to immortals instantly. 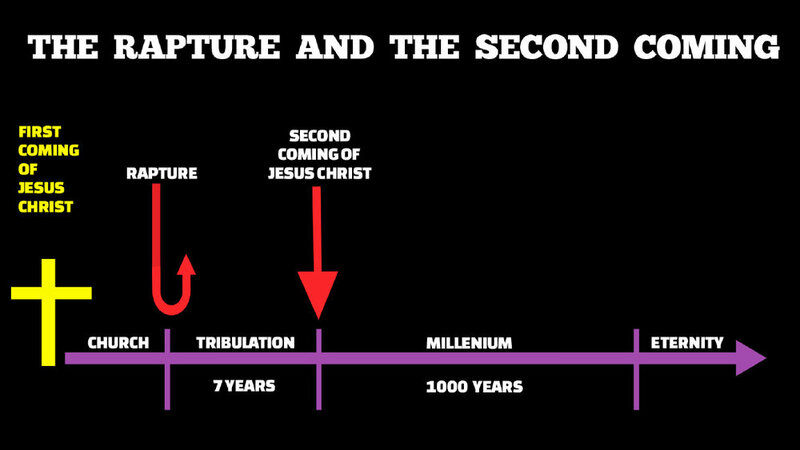 In the scheme of things there is a period called the tribulation, which is the last time of "Jacob's trouble" and a period of 7 years. This is a time of trouble greater that the world has ever seen. In fact Jesus said unless those days were shortened, none would survive. It is the last time of judgement on Israel for rejecting their Messiah, Jesus. 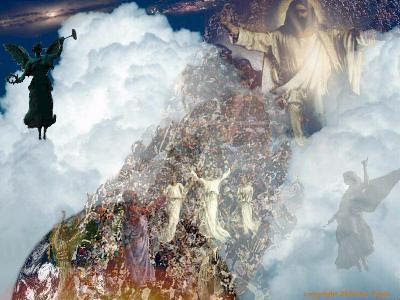 It is also a time of judgement on the earth for those who reject Jesus and destroy the earth, Daniel and Revelation. 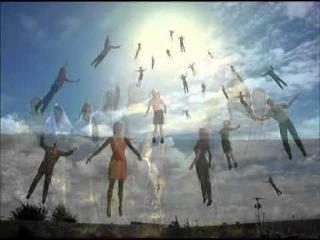 The rapture will take place to take the Church of Jesus Christ out of the earth for this terrible time. 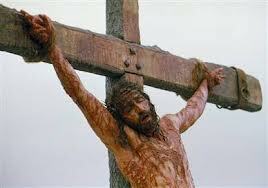 Jesus has paid the price for His own so that they do not suffer the wrath of God. This is Salvation and a free gift by God's Grace for those who will believe in Jesus. The Bible calls the Church of Jesus, His Bride. This is represented in several places in Scripture; Song of Solomon, the story of Isaac and Rebecca, the story of Boaz and Ruth, to name a few. 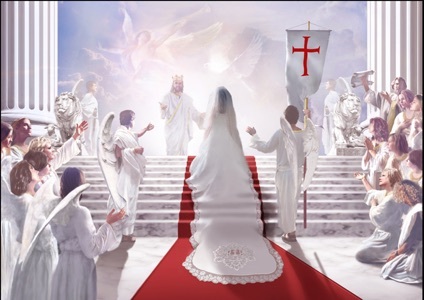 In Revelation, John is shown the Bride of Christ in the final chapters. 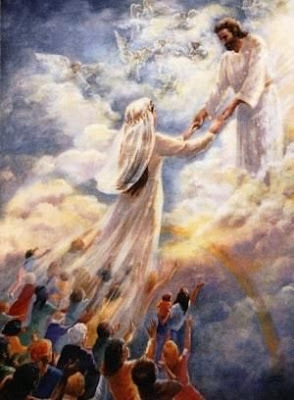 We as Jesus' Bride are to meet Him in the air at the Rapture and be forever with Him. While the tribulation period is taking place on the earth, Jesus' Church and Bride are having a wedding feast with Him in Heaven. There will be many that come to Jesus Christ during the 7 year tribulation, however the evil anti-Christ who will rule the New World Order government will cause those who worship Jesus to be executed; usually by beheading. In Revelation 7 you see a great number who are slain for Jesus and His testimony standing before God in Heaven. During this time 144,000 Israeli evangelists will be preaching their Messiah Yeshua (Jesus in Hebrew) throughout the world. There will also be two prophets of God that preach in Jerusalem. They have supernatural power and will continue with their message directly to Israel. Paul tells us that all of Israel will be saved. Zechariah tells us that they will mourn for the one they pierced. I believe that these two prophets are Enoch and Elijah. These are the only two men in the Bible who were raptured without experiencing death. Revelation tells us that they will be killed by the anti-Christ after their ministry is complete. 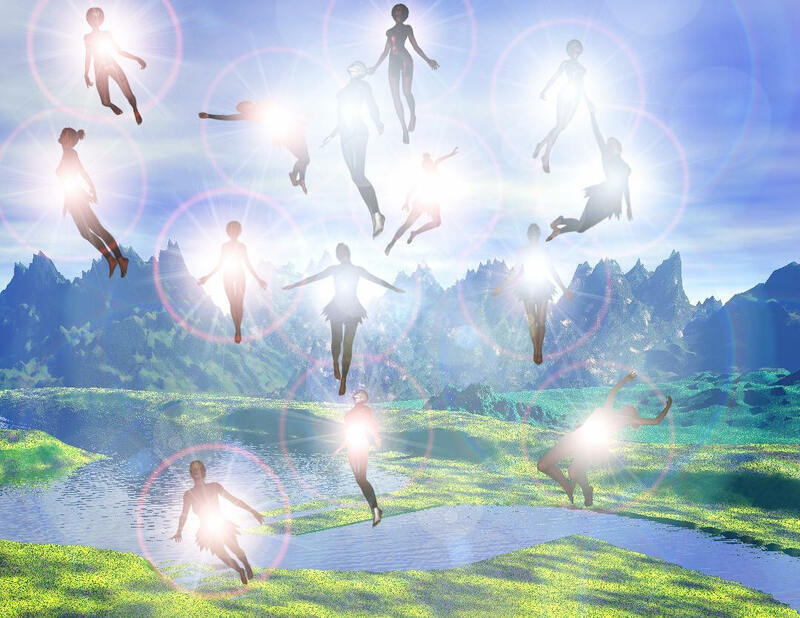 Then after 3 1/2 days they will be called by God and raised from the dead and taken to Heaven. 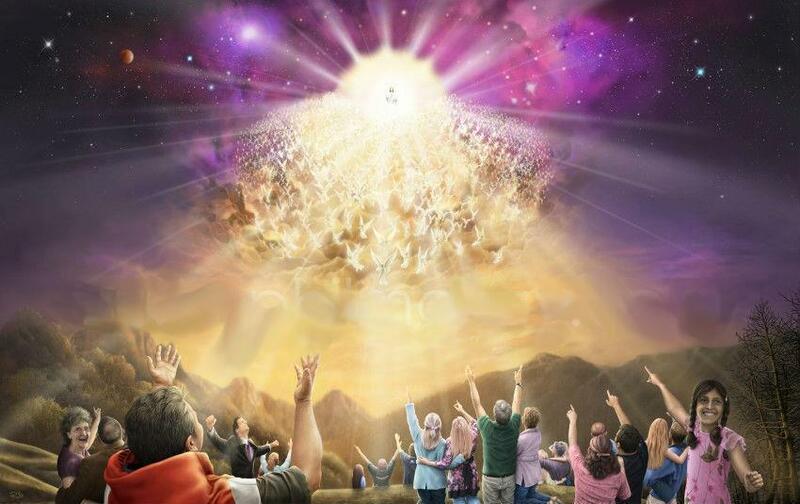 God does not forget his new saints which have come to Jesus from the word of the 144,000, the prophecy and words of Enoch and Elijah, and the words of the Angels of God in the heavens preaching the gospel. 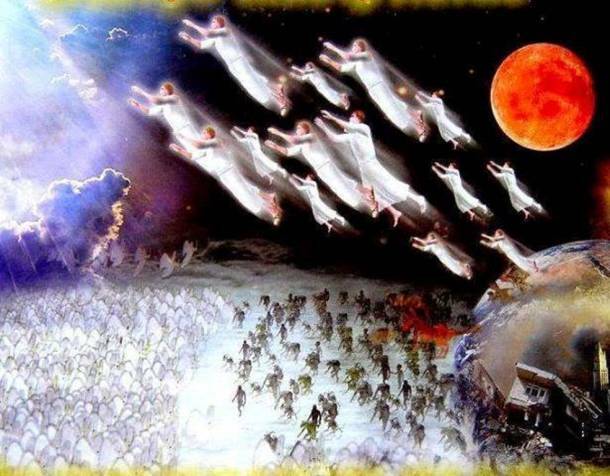 It is another Rapture mid-tribulation that will deliver Jesus' own from the horrible finish of the time of wrath. These cannot be the dead, for they are not raised until the end of the Tribulation in Rev 20:4-5. Following these verses is another angel with a sickle for the evil ones that throws them into the winepress of the wrath of God. 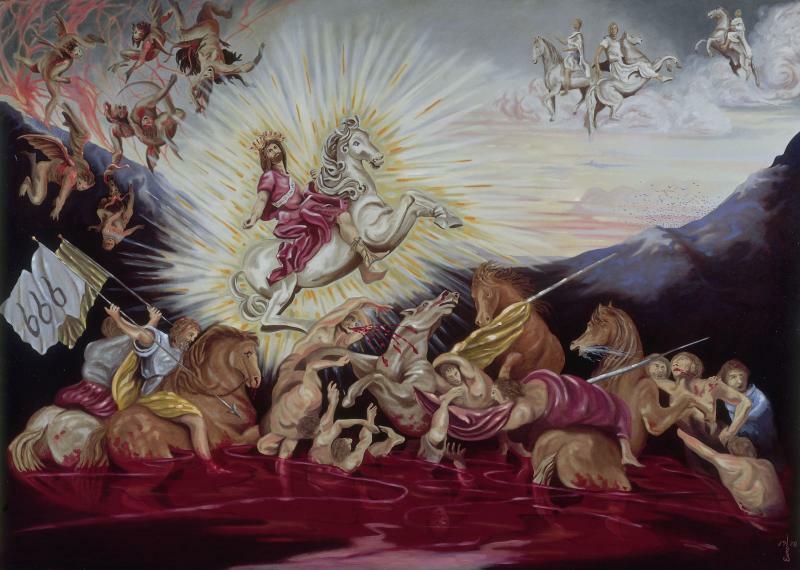 This scripture is leading us to Armageddon and the last battle of the Tribulation of Satan against Jesus where the blood will flow for 200 miles as deep as a horse's bridle bit. After the anti-Christ and the armies of the world come against Jesus and the armies of Heaven at Armageddon, we see the resurrection of those Christians killed in the Tribulation. The coming of Jesus here is commonly referred to as the Second Coming. Jesus said that the whole world will see Him return as Heaven is opened and He appears like lightning from the East to the West. Do not get confused by the phrase in vs 5 that this is the first resurrection. 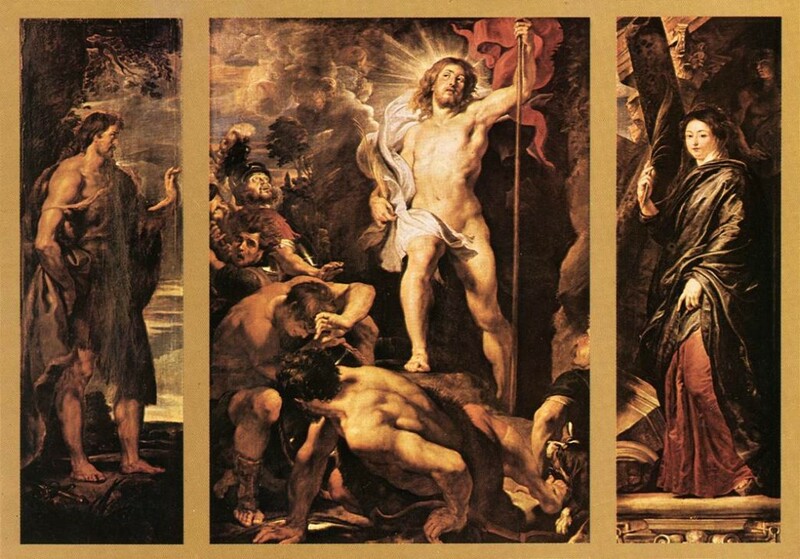 It is the first resurrection after the Tribulation. We have already seen two resurrections prior to this in Scripture. These who are resurrected to be Kings and Priests of our Lord Jesus will still be part of the Bride of Christ. 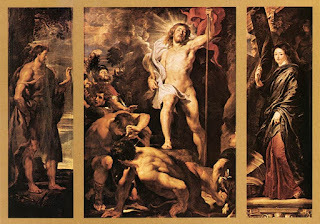 The last resurrection is of the unjust at the end of the millenial reign of Christ. A word here about the lake of fire. It was not created for man, but for the devil and his angels that rebelled against God. The first entrants will be the anti-Christ and the false prophet. It was not the will of God that any would perish, but some people will not accept God's Salvation which is through His Son, Jesus. I believe that there will be some that pass the judgment of the Great White Throne. I mean God is fair and there are some who have died that have never heard about the Salvation of God in Jesus and yet have lived their lives as good people, in line with God's Word. Jesus is the Word made flesh. I see nothing in scripture that says that Paradise has not been repopulated since Jesus' resurrection, or that it is not a place in Hades still. Be that as it may if you are in Jesus, you have nothing to fear and will not be part of the Great White Throne Judgment. There will be a judgment for the Christian. 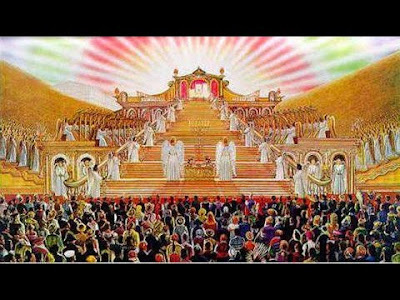 It is called the Judgment Seat of Christ or the Bema Judgment in Greek. 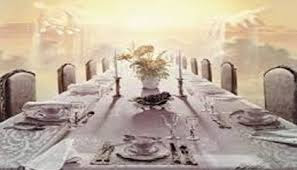 1 Cor 3:11 ¶ For other foundation can no man lay than that is laid, which is Jesus Christ. This is a proceeding to determine reward, like the one who finishes a race at the Olympics (Bema). There will not be any sin brought up, for that is removed by the Blood of Christ. The judgment then is what did you do with your Salvation? Will it stand the test of fire? 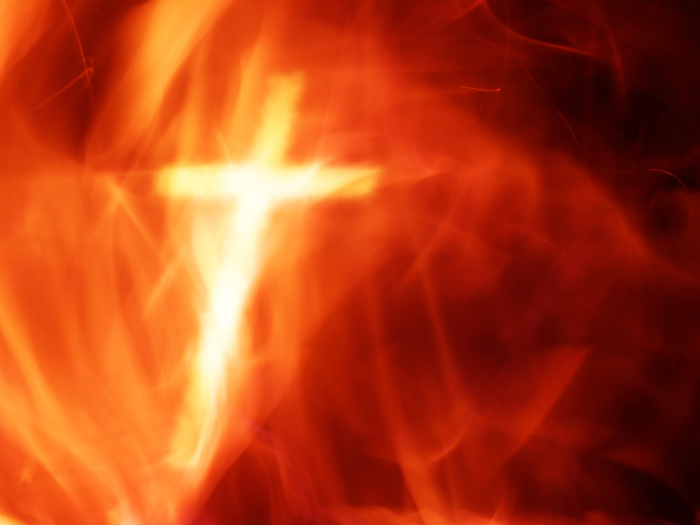 And this is the fire of God, which came on the day of Pentecost, 2000 years ago and will come in the future to cleanse the whole planet. 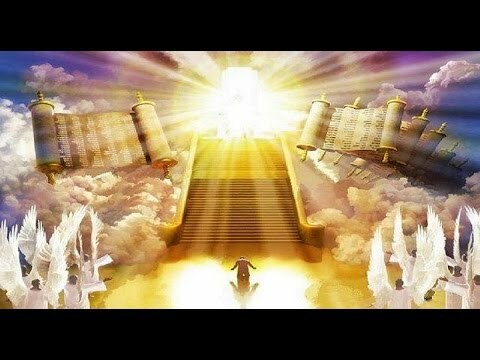 Then the New Jerusalem arrives and eternity begins. So we have seen the Old Testament Church who died in faith of the coming Messiah, raised from the dead to ascend into Heaven with Jesus at His resurrection. 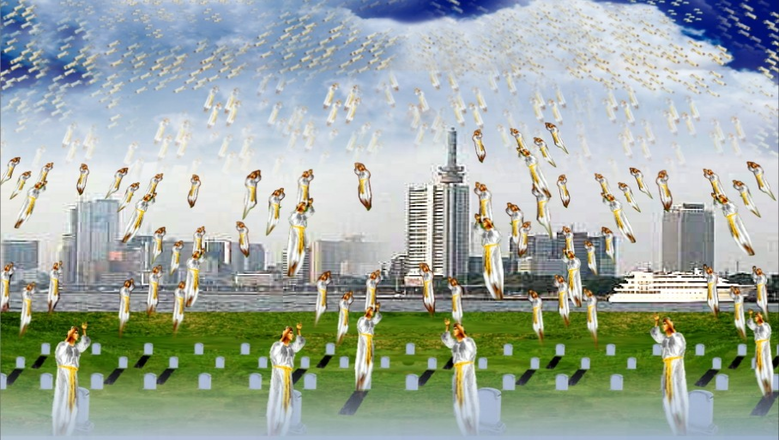 We wait now for Jesus to come in the clouds with the sound of the trumpet and take Saints from the last 2000 years. Then we who are alive at His coming in the clouds will be changed to immortals without death and meet the Lord in the air and in the clouds, 1 Thess 4:13-. 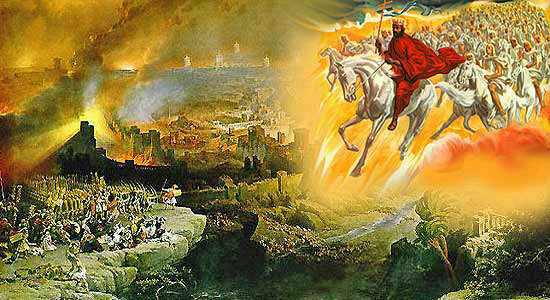 With the Church gone, the anti-Christ will rise to power over the earth and the 7 year tribulation begins. God marks the 144,000 Israeli evangelists to preach to the earth of the Jewish Messiah. 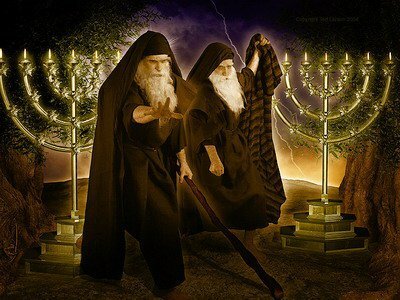 God sends Enoch and Elijah to preach in Jerusalem as powerful prophets. When they are finished, the anti-Christ will kill them and after 3 1/2 days God raises them from the dead and takes them to Heaven. 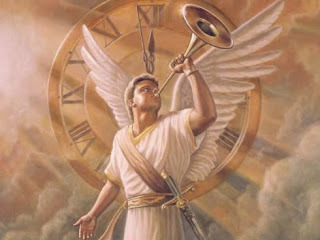 Angels of God preach the everlasting gospel as they fly through the heavens. 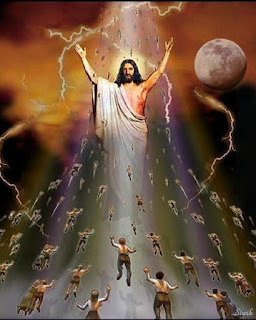 Mid-Tribulation God raptures (redeems) the 144,000 and then the Saints that are alive with the sickle of the one who appears like the Son of man. Jesus returns with all the Saints and has war with the anti-Christ and his armies, Armageddon. The 2nd coming for all the world to see. He sets foot on the earth at the Mt. of Olives and it splits and divides with an earthquake, Zec 14:4. 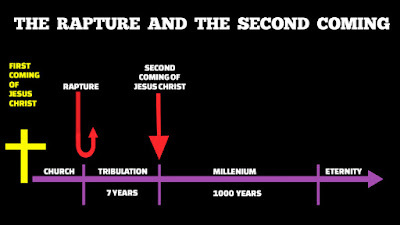 The Christians who become so in the Tribulation will know of the exact date of the coming of Jesus. This was revealed to Daniel that the anti-Christ would take away the sacrifice in the temple that will be built and place an image of himself in the temple which marks the exact time for the return. 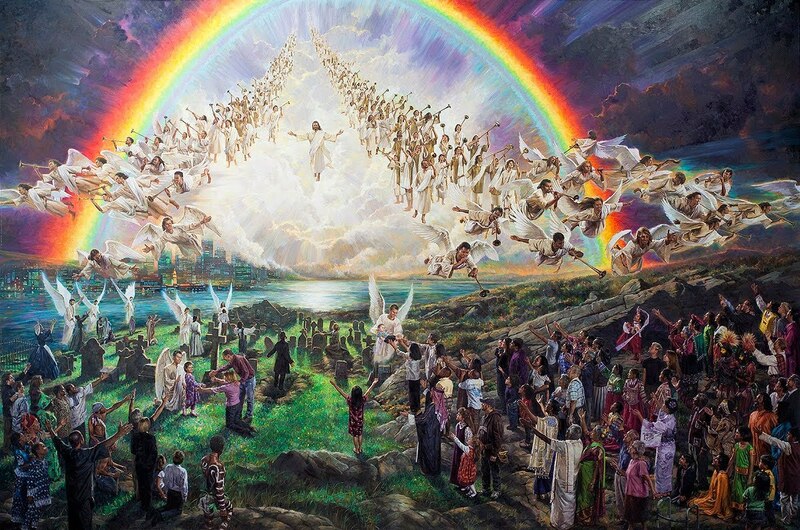 The last 45 days probably include the resurrection of the Saints that were martyred during the Tribulation and the setting up of the Kingdom of Jesus on the earth. 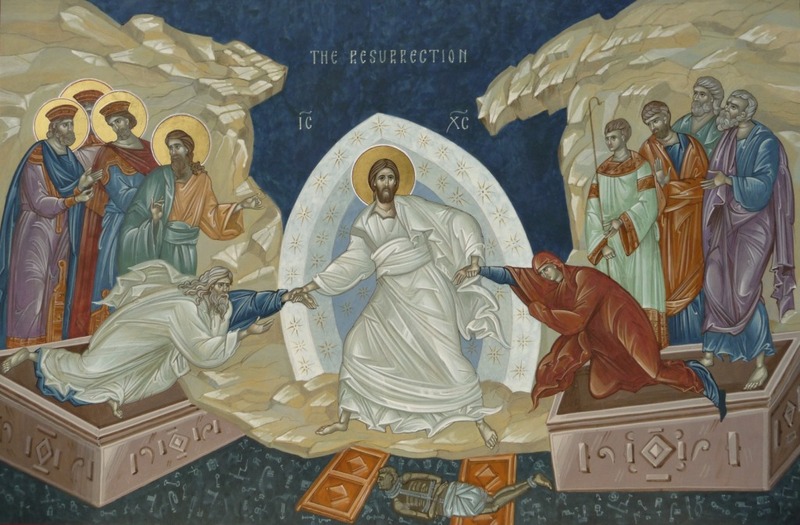 The last resurrection recorded in Scripture is at the end of the 1000 year reign of Jesus on the earth, which is a rest for the earth and the last chance for those people in that period to receive Jesus. There will be the Great White Throne judgement where everyone's actions good and bad are laid bare before the Supreme Judge, Rev 20. 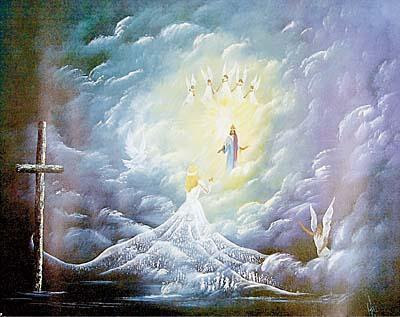 After this is eternity with God the Father and God the Son, Jesus reigning from the New Jerusalem on earth. There will be no need of further resurrections or Raptures for if you are mortal, you can eat of the trees of life at Jerusalem and live forever. Immortals are already in a body similar to that of Jesus, Phil 3:21. Jesus spoke of the coming resurrection when He went to raise his friend Lazarus from the dead. Martha, Lazarus' sister, went out to meet Jesus and told him that if he would have been here, her brother would not have died. Jesus told her he would rise again. She responded that she knew he would rise again at the resurrection. Lazarus had been dead for 4 days. Can you see here the roots of what Paul wrote in Thessalonians and Corinthians spoken by our Master? The dead in Christ will rise and then those alive will be changed and never die. 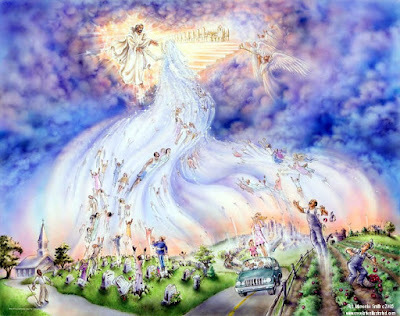 This is the coming of Jesus in the clouds; the resurrection and the Rapture. The last Prophet of the OT is Malachi which mentions the event of the Rapture. Rm 5:8 But God commendeth his love toward us, in that, while we were yet sinners, Christ died for us. Isa 57:1 ¶ The righteous perisheth, and no man layeth it to heart: and merciful men are taken away, none considering that the righteous is taken away from the evil to come. their iniquity: the earth also shall disclose her blood, and shall no more cover her slain. 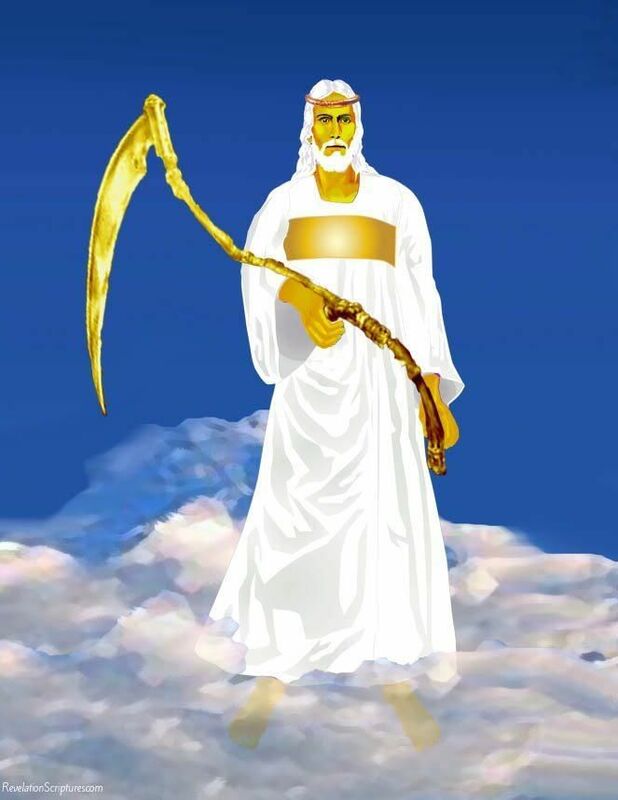 Na 1:2 ¶ God is jealous, and the LORD revengeth; the LORD revengeth, and is furious; the LORD will take vengeance on his adversaries, and he reserveth wrath for his enemies. Rv 4:1 ¶ After this I looked, and, behold, a door was opened in heaven: and the first voice which I heard was as it were of a trumpet talking with me; which said, Come up hither, and I will shew thee things which must be hereafter. 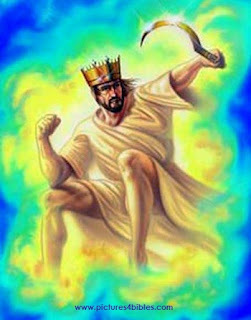 Dan 12:1 ¶ And at that time shall Michael stand up, the great prince which standeth for the children of thy people: and there shall be a time of trouble, such as never was since there was a nation even to that same time: and at that time thy people shall be delivered, every one that shall be found written in the book. I have given you a lot of golden nuggets from Scripture that stand behind the Rapture of the Church. I am sure with study and research you can find more for it is no longer a hidden truth. One day soon, the trumpet will sound. 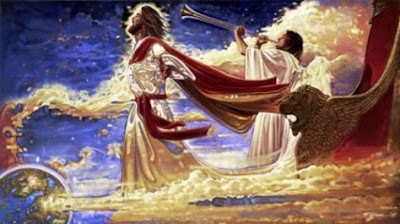 Do not try and place the trumpet into the 7 trumpets in Revelation, for it will confuse you. Many festivals and special events were announced with trumpets. To try and guess the exact time is also futile, but Jesus told us to take heed of the signs of the times. There have been many signs in the last several years such as: increased violent storms, increased number and intensity of earthquakes, wars and rumors of wars, and signs in the heavens like the blood moons and eclipses that fall on Jewish festivals. 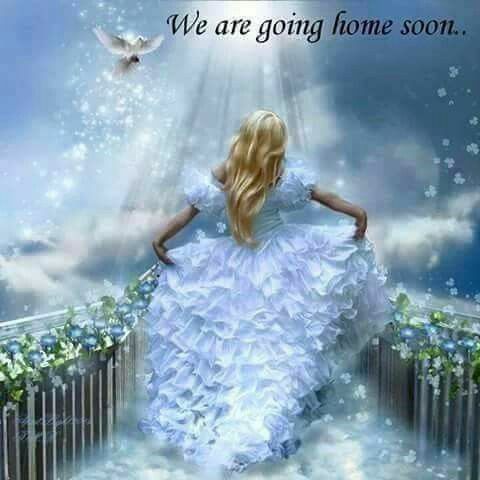 I am not making any type of time prediction, but I know that every day brings us closer and that we will be going home soon. The King will be calling His Bride and by His Grace she has made herself spotless in His Blood so that we by faith are ready. I have posted this blog to give you hope and comfort, for when Jesus returns it will be a glorious day and a happy reunion. All of the Scriptures here are from the Authorized KJV. Pictures are all from Internet with credit given in html if known.